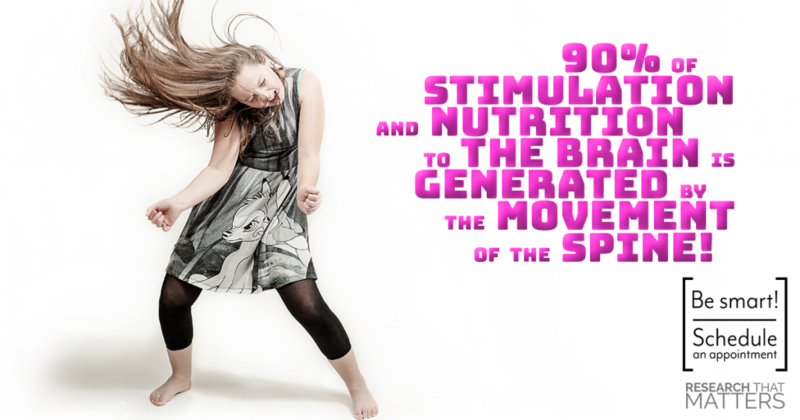 90% of stimulation and nutrition to the brain is generated by the movement of the spine! Next Steps: Use your brain… what would happen if more people in your life were getting more nutrition to their brain through healthy spinal movement? Make an appointment at our office for the people you live and work with. Healthier family + Healthier co-workers = Healthier you. Elevation Chiropractic in located in Truckee California.